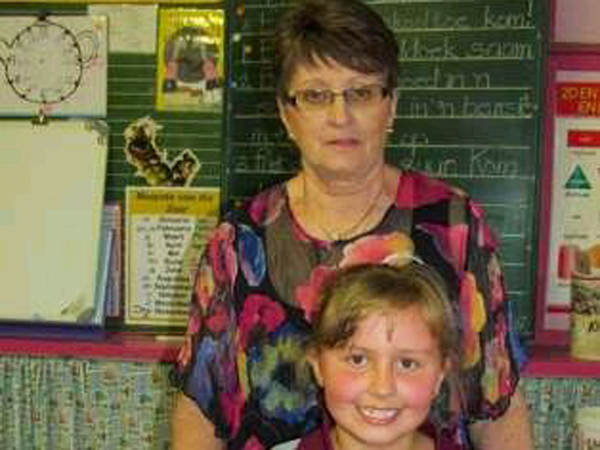 Our Teacher of the Week, Karin Joubert, has been teaching for 47 years. She shares her tips and what motivates her. 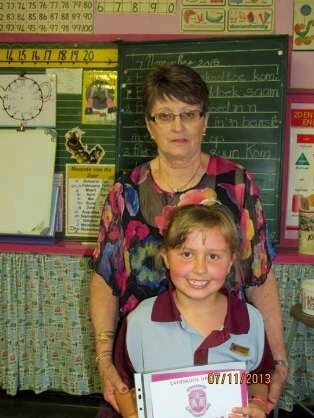 I have been a Grade 2 teacher at Orkney Primary School since 1967. For many years my mom was a Sub A (Grade 1) teacher. My aunties, cousins and sister were also teachers. I grew up with the smell of chalk, so to speak, and married a teacher. Unfortunately he died 20 years ago. Be true to yourself and your ideals. Never stand before your class unprepared. Always listen to older and more experienced colleagues, no matter how qualified you are. Always be prepared to help where you can. Be loyal to your headmaster and colleagues, and most importantly, the children entrusted to you. What is your favourite technological aid and book to use? The “delete” button on the computer. No more correction fluid. Dictionaries are good teaching aids. What inspires you after 47 years in teaching? The smiles on the children’s faces and the “Hello, Miss Karin!” whenever they bump into me.